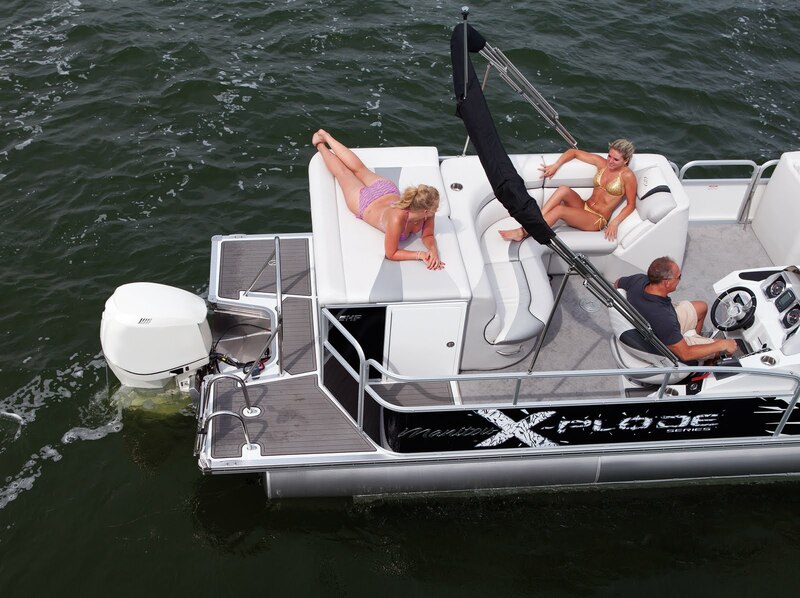 Rear swim platform SeaDek pads on a Manitou X-Plode make getting into and out of the water a safe and comfortable experience. This entry was posted in marine non skid, pontoon boats, seadek. Bookmark the permalink.